Home to the Big 5 of the African bush - lion, elephant, leopard, rhino and buffalo - the Kruger Park is definitely one of the world's great wildlife destinations. 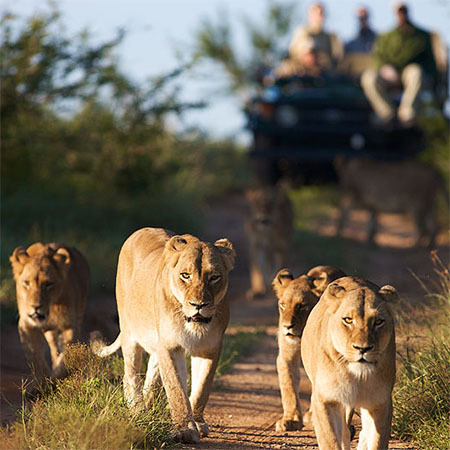 Unforgettable safari holidays in the Greater Kruger Park. Save money on amazing safaris in the Greater Kruger Park. The 65,000 hectare Sabi Sands Game Reserve offers possibly the best game viewing opportunities to be found anywhere on the African continent. The 60,000 hectare Timbavati Game Reserve is home to Africa's Big 5 as well as many more species of predator and antelope, and this abundance of wildlife ensures that visitors to the area have an unforgettable safari. If you’re looking for really authentic safari experience in South Africa, there’s no place like Kruger National Park. It’s one of the world’s great wildlife destinations, ranking up there with the very best that Africa has to offer. Here, you can watch the sun sink over the bush while you watch giraffes and elephants graze peacefully and take adrenaline-fuelled off-road safaris to track lion prides through the long grass at dawn. If you’re after some on foot adventure, you can even try taking intrepid walking safaris through the park. It’s the Africa of your imagination and it’s there for the taking! Covering a vast expanse of over 2 million hectares given over purely to conservation, Kruger is home to an immense diversity of wildlife featuring not only the Big 5, but some 490 different species of bird, 147 mammal species, 94 different reptile species, 33 types of amphibians and a magnificent array of over 200 different kinds of trees. 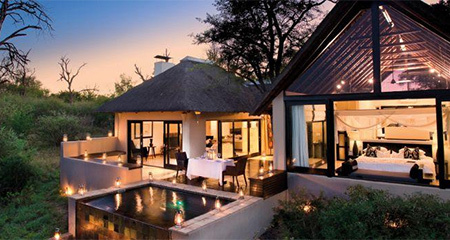 There are around 100 safari lodges located either within one of the handful of concessions in the Kruger National Park itself, or in one of the adjoining private game reserves on the western side of the National Park, such as the Sabi Sands, Timbavati, Balule, Thornybush and Klaserie. As if that wasn’t enough, there are also nearby fenced reserves such as Kapama. Staying at one of these lodges, you’ll be treated to sunrise and sunset guided safaris in open-topped 4x4 safari vehicles, giving you an incredible game viewing experience. You’ll stop for scenic coffee or sundowners in the bush accompanied by your highly skilled ranger and Shangaan trackers and roam the plains in search in wildlife. There are no words to describe the thrill of this type of safari. It’s something that will stay with you for life. The safari lodges all take huge pride in getting their guests as close as possible to the animals and in the private reserves the guides are not restricted to the roads, meaning that you can head off-track into the depths of the bush in search of wildlife. This really is a safari like no other, as the guides and trackers can follow their professional hunches off road and give you the game drive adventure of a lifetime. There is never a bad time to visit Kruger, and each of the two major seasons has it's advantages. During the winter months of May to August, the temperature is cooler, and it is easier to find the animals as they tend to congregate around waterholes and rivers. This is also often the best time to find a special offer or lower price at a safari lodge. During the summer months of October to April, heavy rain showers and storms are frequent. As a result of the rain, the grass is lush and green, and many animals give birth at this time as there is plenty of food and water around. The downside is that the lush green vegatation can make game viewing more difficult. You can read more about the pros and cons of visiting at differents times of the year here, but the bottom line is that the game viewing is exceptional all year round. If you book with Travel Butlers, we will, of course, ensure you have the most appropriate transport arrangements for your safari, however it is always helpful to have an idea of the options when planning your trip. There are excellent flight connections from both Cape Town and Johannesburg to the Park - but keep in mind that the Park is large, so it is important to pick the correct airport for the lodge you will be staying at in order to avoid having a long drive on arrival and departure. Many of the safari lodges also have their own airstrips, and these are serviced by daily shuttle flights from Johannesburg, meaning you can fly straight into the heart of the bush. You can find out more about the travel options here. Visitors on a self-drive itinerary will find that it is a strightforward drive from Johannesburg to Kruger, but you should allow up to 6 hours for the journey. There is plenty to do in the lowveld area bordering Kruger, which makes self-drive very appealing for the more independent and adventurous traveller. 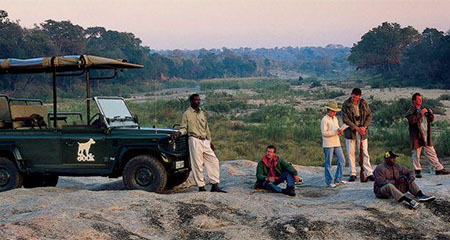 All of the Travel Butlers team have been to Kruger many times, and we can’t recommend it highly enough. We’re familiar with all of the lodges that we offer and we’ll happily talk you through the differences between them. This way, you’ll get the safari holiday that you’ve always dreamed of. Choices, choices...should it be a grand tour of South Africa, a Safari and Beach holiday, or all 2 weeks in Kruger...? 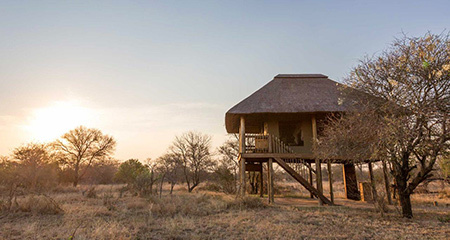 Shindzela Tented Camp in the Timbavati Game Reserve offers a excellent value for a Kruger safari. Each of the 8 comfortable tents is built on a wooden deck, and has a private en-suite bathroom and a private deck/porch where you can sit and relax. The 4* Karongwe River Lodge is situated in the 9,000 hectare fenced Karongwe Private Game Reserve, just 45 minutes from the world-famous Kruger National Park. The 11 luxurious private suites each have a private deck overlooking the reserve. Set in the 9,000 hectare Big 5 fenced Karongwe Game Reserve, Shiduli Private Game Lodge offers an outstanding African safari experience where the warm atmosphere, friendly staff and fine cuisine compliment the excellent game viewing. Chisomo Safari Camp features 22 safari tents, set in the African bushveld, under majestic apple leaf, jackalberry and tamboti trees. All tents, with en-suite bathrooms, are facing the beautiful Makhutswe River and wildlife can be viewed from the decks as it emerges from the reeds for grazing.